There those car owners who will head to an auto shop for the first time and order a replacement for their timing belt only to discover that their car has a timing chain. 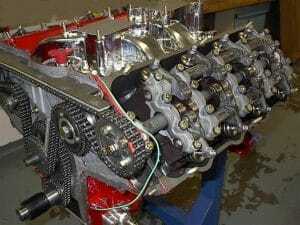 Modern car engines have undergone many engine modifications over time and so have the timing belts and chains. Typically, timing chains have a lifetime lifespan while you should change your timing belt every 60,000 to 100,000 miles. The timing chain is costlier than the belts. If you are wondering, which of the two is the most suitable for your car? This timing chain vs. timing belt article provides an in-depth list of the pros and cons of each. A timing chain looks like the chain on a bicycle. The timing chain has the added advantage of being long-lasting. In fact, it should last through the lifetime of your car. Unfortunately – this is not the whole truth. Newer brands like Volkswagen & BMW have big problems with failing timing chains. You also do not need to replace the pump when you are replacing your chain. But, they have some serious drawbacks when compared with the timing belts. For one, the timing chain is costlier and noisier than the belt. It also can cause serious engine problems when it breaks. The engine oil pressure controls the timing chain tensioners. The disadvantage to this in timing chain vs. timing belt purchase decision is that if you experience low oil pressure, the tensioners and the chain will also fail. The timing chain connects the camshaft and crankshaft. This is a drawback in the timing chain vs. timing belt comparison because the chain lasts the lifetime of the car. The belt runs through multiple pulleys that have tensioners. The tensioners maintain the right tension for the right movement of the belt and are often changed at the same time as the belt. You will also be required to replace the water pump with the belt. The tension for the timing belt is highest when starting or shutting the engine, and this is the time they are most susceptible to breakage. 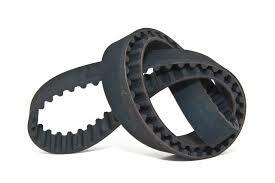 The timing belt helps in coordination between the camshaft and crankshaft. It is used for internal combustion engines. To ensure that the hydraulic cycle is maintained it is located near the hydraulic timing tensioners. For enhanced durability, most of the timing belts are made from rubber reinforced with fiberglass. Timing chain vs. timing belt – which is better? In my opinion, timing belts are a better choice, because of the problems with timing chains on newer cars. If you have replaced the timing belt, you are sure that it will last until the next scheduled replacement. Each has its own set of pros and cons. The production of affordable cars necessitated the development of the timing belt which is cheaper and quiet as opposed to the timing chain. Many manufacturers have shifted to the manufacture of cars with belts; this has made belts to be more commonly used. On the downside, you need to replace the belt after every 40,000 to 100,000 miles. You will also need to factor in the costs of the water pump and tensioners. Timing chains have longer lifespans (Depending on the engine) – close enough to that of the car. They are long lasting but their maintenance is closely related to the engine oil pressure. A reduction in this can cause serious problems. Timing belts also have the advantage of reduced friction and no need for lubrication. You also experience higher car performance due to the increased timing precision. If you are not concerned about the cost of constant maintenance of your car, then you can opt for the timing chain. 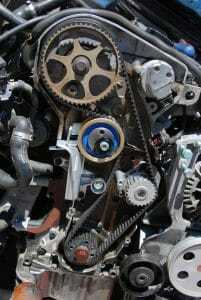 As long as you have an internal combustion engine, you will always require a timing belt, timing chain or timing gears. Most of the high displacement vehicles in the market have been equipped with a timing chain, and they are responsible for the smooth operation of the camshaft and crankshaft. Since the timing chain is metallic in nature, it requires constant lubrication for it to run smoothly. After continued use, the timing chain may start to wear, and this interferes with engine’s timing leading to misfiring. The following factors point to a faulty timing chain. Modern cars use advanced technology to detect problems with the engine. If the camshaft is not synced with the crankshaft, the engine control unit will store a trouble code and light up the Engine light. It is time to change your timing chain when it begins to stretch causing it to skip one of the gears in the crankshaft or camshaft. 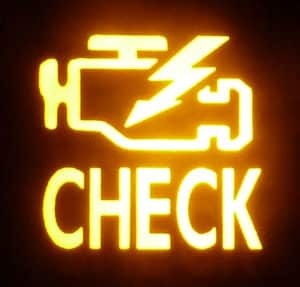 You will notice that your engine misfires. Should you ignore this problem and the chain breaks, you will experience some serious engine problems. When your car is packed, the engine should produce a consistent silent sound. If you have a loose timing chain, your engine will produce an irritating rattling sound. This is due to vibrations produced by the timing chain on the motor. You will need to replace it immediately because an engine cannot function without the timing chain. To keep the timing chain operational it needs lots of lubrication. Engine oil is used. During car service, you will be required to change your spark plugs, oil filter, and change engine oil. This is done after every 5,000 miles. If your timing chain has started experiencing wear and tear, you will notice some metal shavings in the expired engine oil. You may also need to check your keeper retainers and cylinder head valves for tear. Replace your timing chain immediately you notice metal shavings in old engine oil. Motorists are advised always to be alert for any unusual engine noise and replace the timing belt or timing chain immediately they notice problems. If not changed it could lead to further engine problems. The decision to use the timing belt or timing chain will first depend on your car model. High displacement vehicles come with the timing chain but most reasonably priced cars have the timing belt. The timing belt has the key advantage of being cheap and requiring little maintenance. However, it does not last the lifetime of the car like the timing chain and will need to be changed every 40,000 to 100,000 miles. The timing chain cannot operate without oil lubrication but lasts longer.